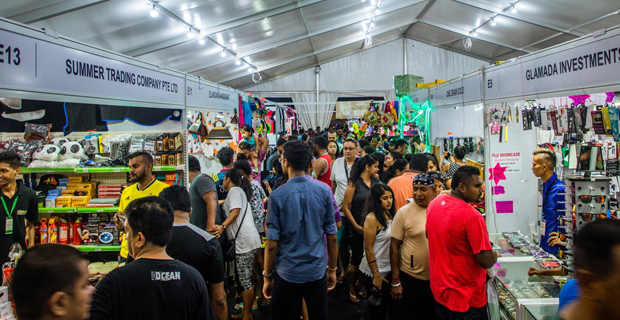 The Total Event Company which is a subsidiary of Communications Fiji Limited has today announced that the 2019 Fiji Showcase will be held from July 12th to 20th at the Vodafone Arena. Total Event Company Manager Izak Yam says they are delighted to be able to get back to the newly renovated Vodafone Arena and take advantage of the new facilities and have a range of new features planned for this year’s Fiji Showcase. CFL’s Executive Chairman William Parkinson says they are delighted to be able to re-launch Fiji Showcase. He says this is such an important event to so many people as over 80,000 visitors attended the event in 2017. Parkinson adds it is also an important contributor to CFL’s bottom line.